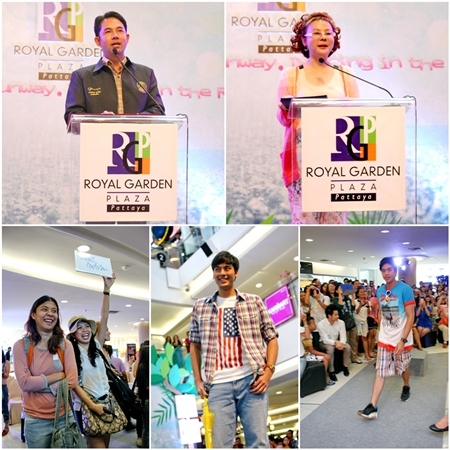 Royal Garden Plaza got a jump on the Pattaya Grand Sale, launching summer-long discounts with a fashion show featuring a pair of TV actors. 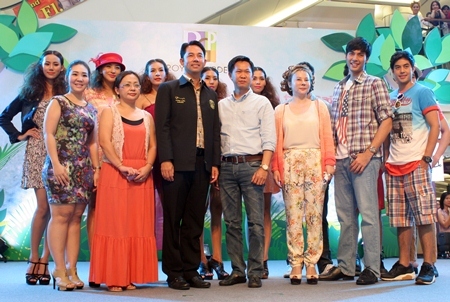 Mayor Itthiphol Kunplome and top executives at the beachfront mall kicked off the “Fashion Runway: Dancing in the Rain 2013” show June 22. A professional model treads the boards in one of this summer’s latest fashions. 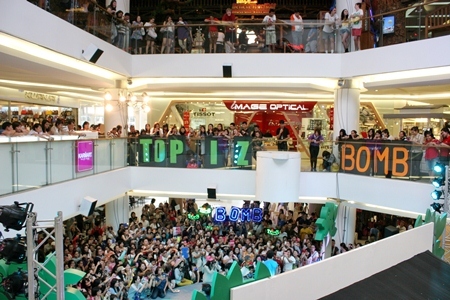 Royal Garden General Manager Pharida Wimolphan said the fashion show kicks off the mall’s Pattaya Grand Sale promotion, which runs citywide July 15-Sept. 30. The mall’s discounts are available only through Aug. 30. 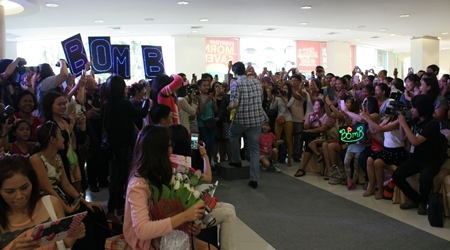 During the promotion, discounts of up to 80 percent will be available throughout the mall. Twenty shops are offering additional discounts of 20 percent for members of Advanced Info Services Plc’s Serenade club. 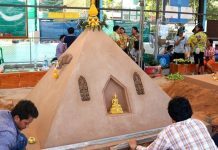 Shoppers will also receive prize-drawing tickets for each 1,500 spent at Royal Garden. 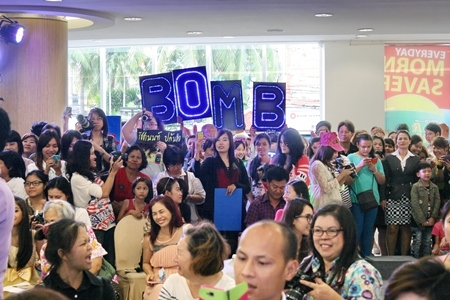 Shoppers using credit cards from Visa International, a Grand Sale sponsor, will receive an extra ticket for each 500 baht spent.